"in elegant box with egyptian motifs"
A belt or strap or walls, a flexible strip generally made of leather, fabric or woven fibers that leads you around the waist. 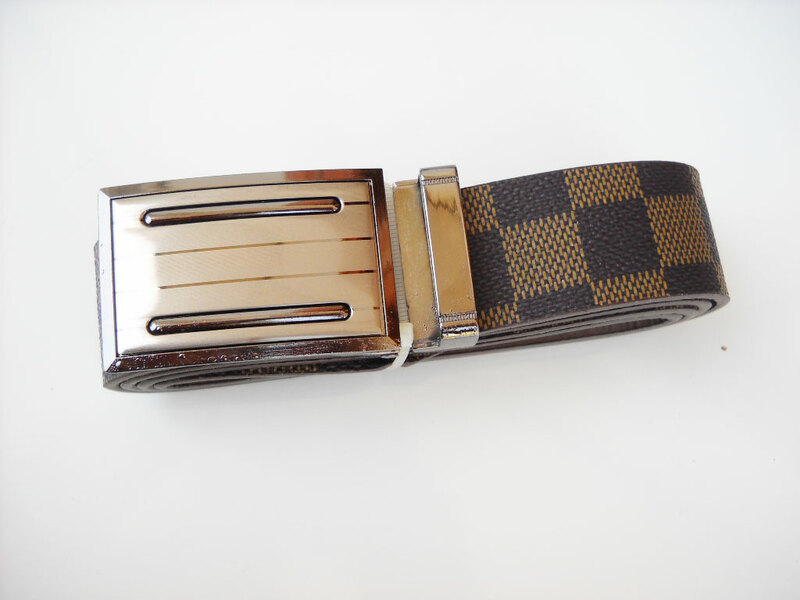 The belt has the function of support for garments such as trousers and skirts, of the objects (sword, bag) or decorative. If very high it takes the name of the belt. 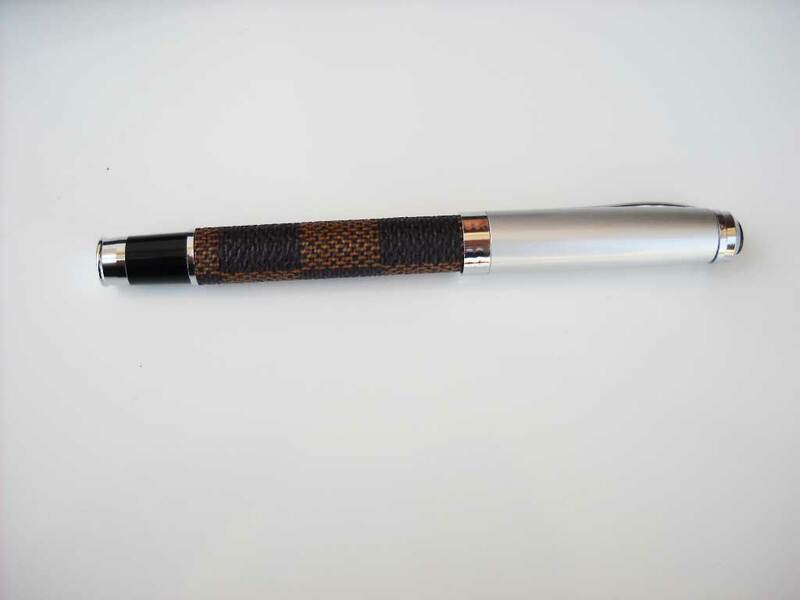 Its name comes from the Latin word cingulum, which pointed to the belt, the civil, the military was called balteus. 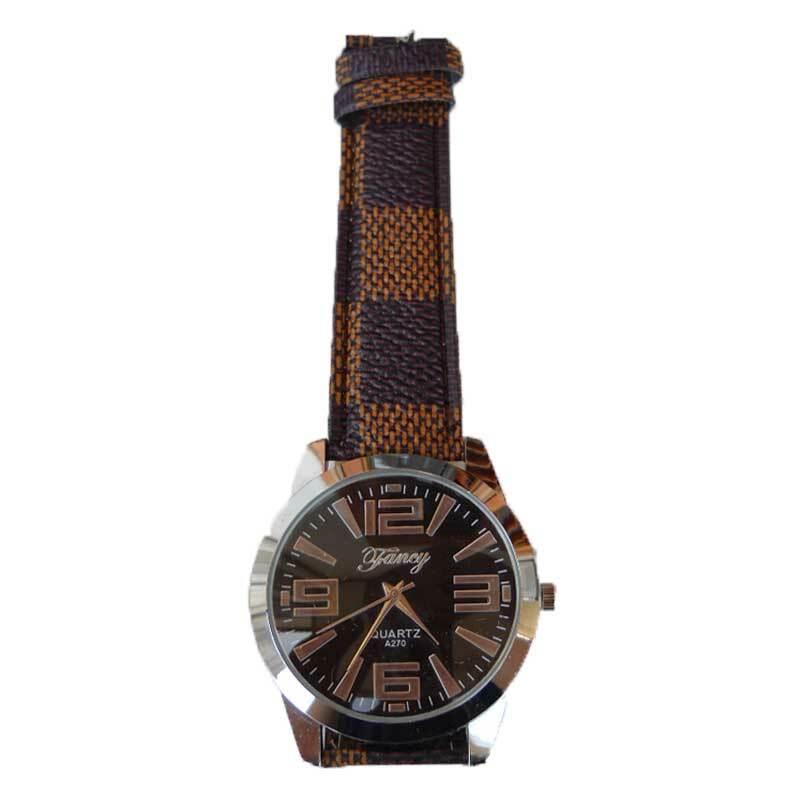 Its origins are to be traced back to prehistoric times: they have found remains of belts metallic-bronze age. In ancient times, was used to distinguish the degree of military, religious or civil. 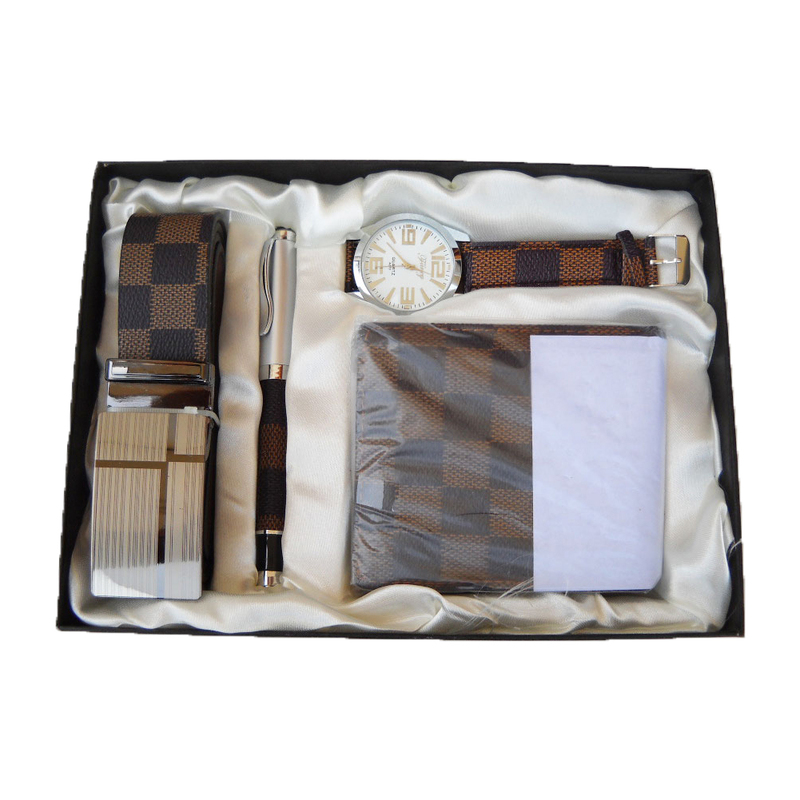 Gift box consisting of watch, pen, wallet, and belt in a elegant box with egyptian motifs. 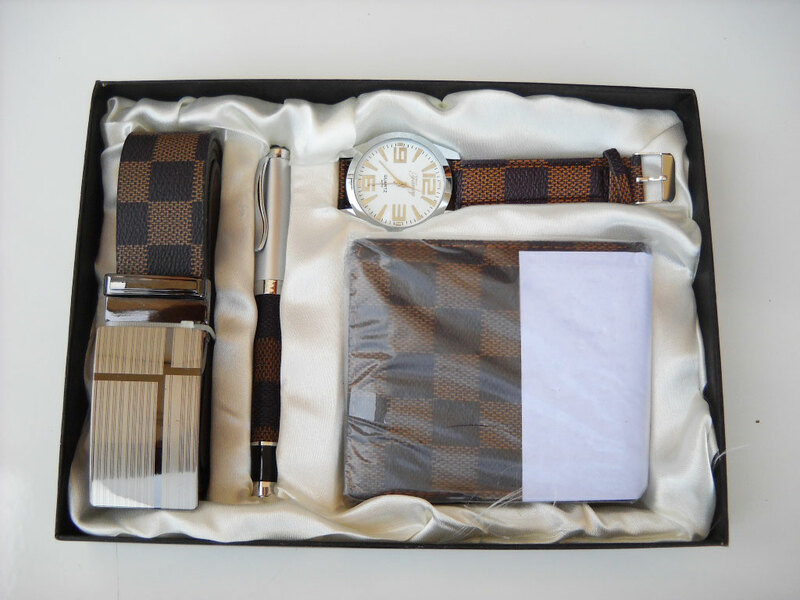 Precious jewellery gift idea men composed by pen with cap-silver portfolio in soft fabric and soft waistband with a silver buckle and a watch with a dial and dark strap, all in sought after fantasy brown chess. LENGTH OF THE BELT IS 123 CM. 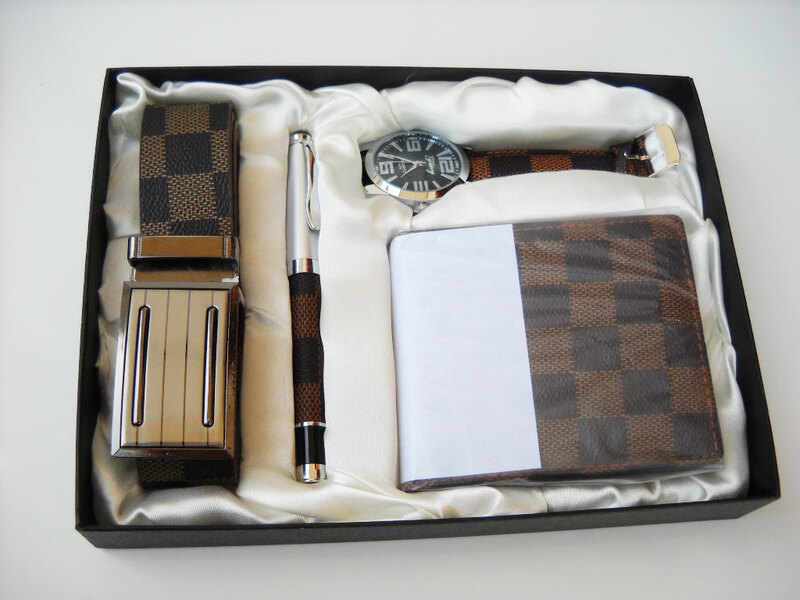 The package will be sent based on the availability of the moment, with the variation of the motifs of the walls or the clock.